Guatemalan authorities arrested Horst Walther Overdick-Mejia, a Guatemalan drug distributor working with Los Zetas, on April 3 in San Lucas Sacatepequez, Guatemala, near Guatemala City. According to a U.S. indictment, Overdick was responsible for trafficking illicit drugs, including cocaine, via land and maritime routes into Mexico since at least 1999 and played a significant role in the establishment of trafficking routes through Guatemala for Los Zetas. Several Mexican transnational criminal organizations, including the Gulf cartel, Sinaloa Federation and Los Zetas, employ people in Guatemala like Overdick to transport illicit drugs through the Central American country. 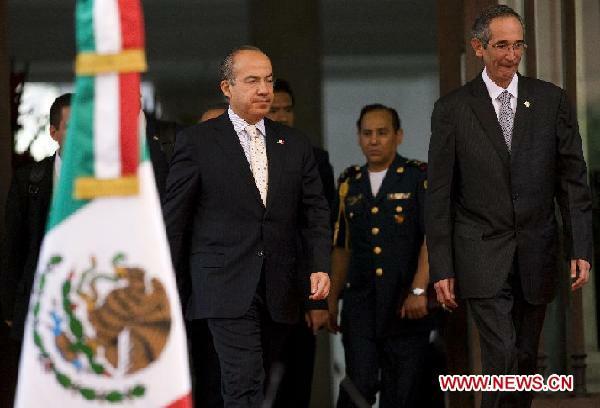 For Mexican organized crime, these liaisons are crucial for moving illicit drugs through Guatemala. Logistical liaisons, such as Overdick, allow foreign groups to establish a presence in unfamiliar terrain and facilitate communications with Guatemalan contacts. However, for at least the last five years, Los Zetas have placed an increasing focus on expanding their operations into Guatemala. The group thus likely has alternative plans to prevent operations depending on a single point of contact. Unlike other Mexican organized criminal groups such as the Gulf cartel and the Sinaloa Federation, Los Zetas use their characteristic violent tactics to exert influence in Guatemala. 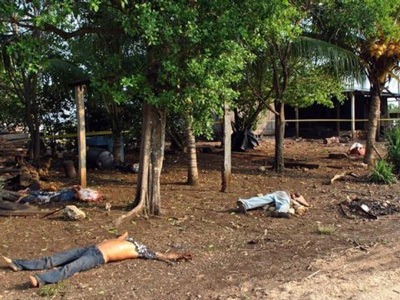 On May 15, 2011, in the Peten department of Guatemala, gunmen murdered 27 farm workers on a ranch owned by Guatemalan drug distributor Otto Salguero. 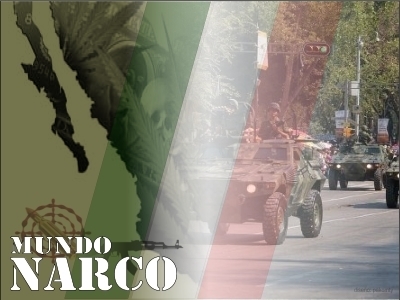 A week later in Quetzaltenango, Quetzaltenango department, three Guatemalans were arrested after posting narcomantas signed Z-200 that claimed Otto Salguero was one of “the most important suppliers of cocaine” to the Gulf cartel. 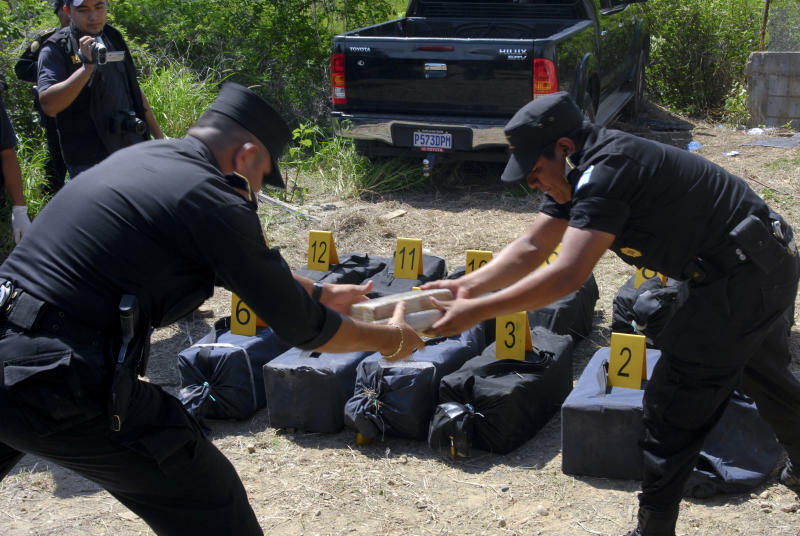 Los Zetas have targeted other drug trafficking organizations, which family organizations largely control in Guatemala. Los Zetas attacked one such group, Los Leones, on March 25, 2008, with gunmen killing 11 of its members including Juan Jose “Juancho” Leon, a leader in the organization. Given Los Zetas’ established ability to assault rival criminal groups in Guatemala and its increasingly public presence (through narcomantas appearing in Guatemala’s largest cities), it is unlikely that Overdick’s arrest would significantly hinder Los Zetas influence in, and ability to traffic drugs through, Guatemala. Los Zetas are likely to adjust to Overdick’s arrest to continue operations in Guatemala. July 6, 2011 – Guatemala, Guatemala – FILE: A picture dated 31 may 2011 shows Agents of the National Civil Police of Guatemala seizes 336 kilos of cocaine after a fight against drug traffickers in Rancho de Progreso, 80 kilometers north of Guatemala city. The group Los Zetas, one of the most violent organizations of organized crime, supplied drug from Guatemala and not direcly in Colombia, as revealed by number three in the group, jesus Enrique Rejon arrested in Mexico on July 3, 2011. Photo: Jesus Alfonso/dpa. 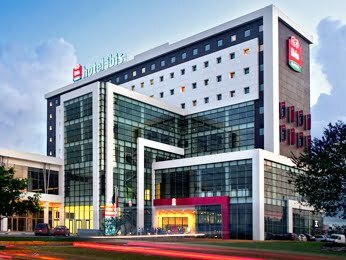 Gunmen shot and killed a 21-year-old man in front of the Hotel Ibis in Cancun, Quintana Roo state, on March 27. Authorities said they were looking for a missing taxi driver in connection with the murder. On April 2, authorities discovered the bodies of three males along the Cancun-Leona Vicario highway with two vehicles, one of which was registered as a taxi vehicle. According to authorities, the murders probably were linked to the March 27 killing. Two days later, authorities arrested seven members of the Los Pelones gang in Cancun in connection with the murders. 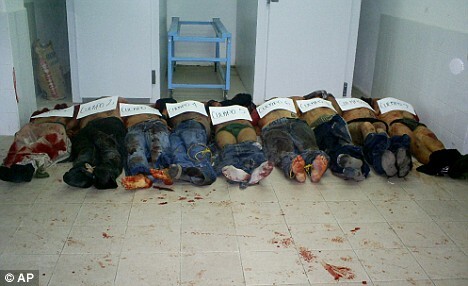 After interrogating the suspects, authorities said the March 27 victim was killed for belonging to Los Zetas. Five members of Los Zetas were arrested April 5 in the district where the March 27 murder happened. Those arrested said they had arrived in Cancun 10 days before to carry out several assassinations. The hotel is located in a high commercial traffic area at the intersection of Tulum and la Nichupté avenues. Though Cancun does not typically see violence related to the drug war, violence may erupt without notice in any part of Mexico. 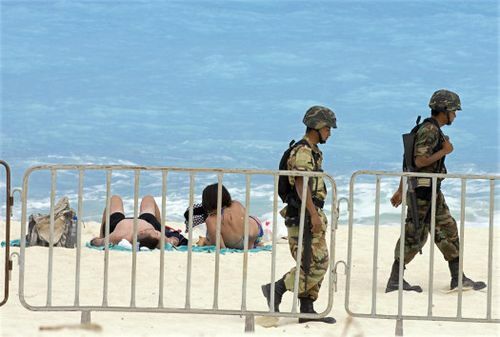 At present Los Zetas and Los Pelones, a name historically associated with the Sinaloa Federation but not necessarily the same gang in Cancun, are attacking each another in Cancun. How far the violence could escalate remains unknown, but travelers to the resort town should pay attention to the security situation given the March 27 killing, which occurred in the area where numerous travelers will stay. Collateral damage easily could result from violence between the organizations. Authorities discovered three bodies — two male and one female — at a ranch in Brisenas, Michoacan state, near the Jalisco state border. Four gunmen were killed in Ario de Rosales, Michoacan state, when they opened fire on a military patrol. No military casualties were reported. Authorities discovered the bodies of four executed individuals, two of whom were decapitated, in three different municipalities of Morelos state. 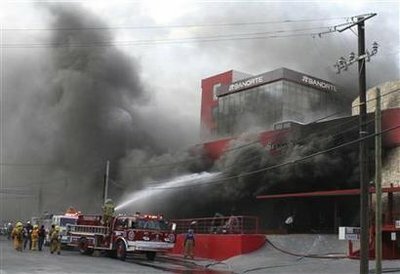 Francisco Medina Mejia “El Comandante Quemado,” the reported mastermind of the Casino Royale fire that killed 52 individuals in Monterrey, Nuevo Leon state, was killed by Mexican military in a firefight on the Nuevo Laredo-Piedra Negras highway. Three other gunmen were also killed. At least seven individuals were murdered in separate incidences in Acapulco, Guerrero state. Gunmen arrived at a residence in a vehicle and kidnapped four police officers before shooting and killing them in Monterrey, Nuevo Leon state. Authorities discovered the body of a woman in Monterrey, Nuevo Leon state. The victim’s eyes were taped shut and there were signs of torture on the body. Three individuals were killed in Acapulco, Guerrero state. Two of the victims were decapitated, and their heads were left in an ice cooler inside a vehicle. The third victim was a taxi driver, and his body was left in a taxicab. In Arriaga, Chiapas state, two narcomantas were placed along bridges. 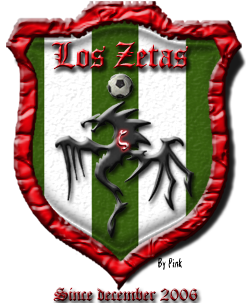 The first stated that “Los Z” has arrived and warned that 100 people would die. The other stated that “La Familia” did not kill women, children or innocent and that justice begins. The Mexican army with municipal police seized 844 kilograms (1,860 pounds) of marijuana from a residence in Tijuana, Baja California state. Authorities discovered four decomposing bodies in a well in Rioverde, San Luis Potosi state. Gunmen killed three men who had arrived at a car wash in Chihuahua city, Chihuahua state. Gunmen kidnapped a man in La Trinidad, Sinaloa state. Authorities later discovered the decapitated body with the hand placed in the mouth. Gunmen opened fire in a bar in the center of Monterrey, Nuevo Leon state, killing a waiter and a patron. You can’t help but think of the innocent kids in all this… What are they being exposed too and the knock on effect of this….